Support a worthy cause and show your Holy Comforter t-shirt pride during church outings, during casual time and by wearing it on August 25th, HC’s Rally Day! 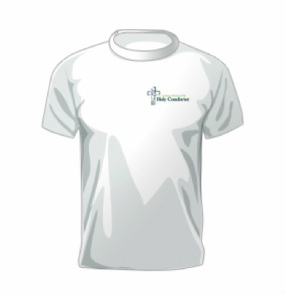 Holy Comforter is building a NEW website and 100% of the t-shirt proceeds will help build and maintain it. The website will be launched on Rally Day! To guarantee you will receive your t-shirt with the correct sizes, please preorder your shirts by Sunday, August 11th. Cost? Suggested minimum donation of $12 each, any additional offerings welcomed!